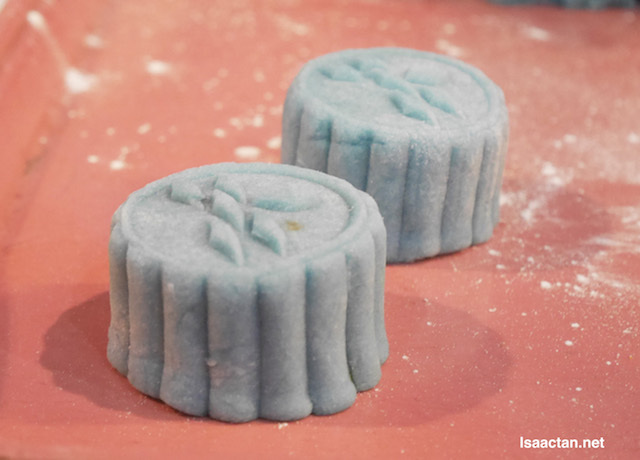 Blue mooncakes? How unique. 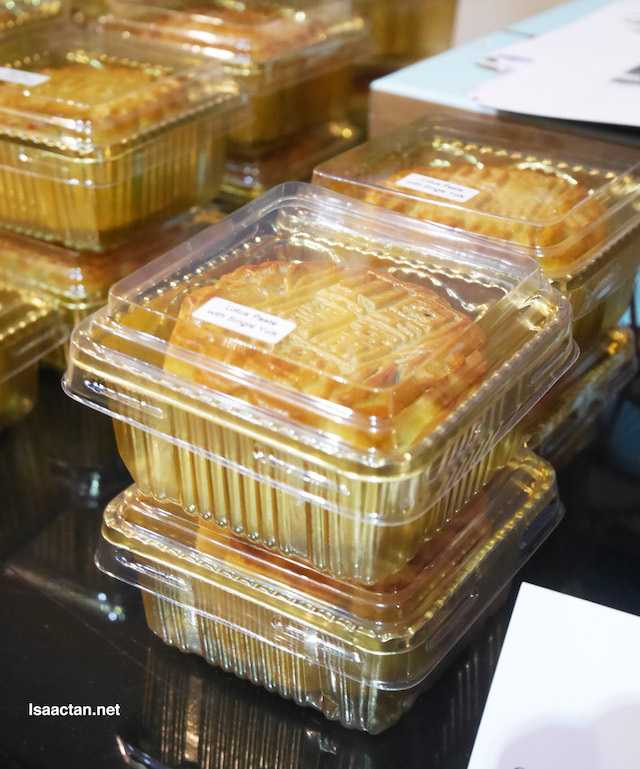 The latest trend of celebrating the Mooncake or Mid-Autumn Festival is to enjoy mooncakes that are made with innovative fillings and creative designs. 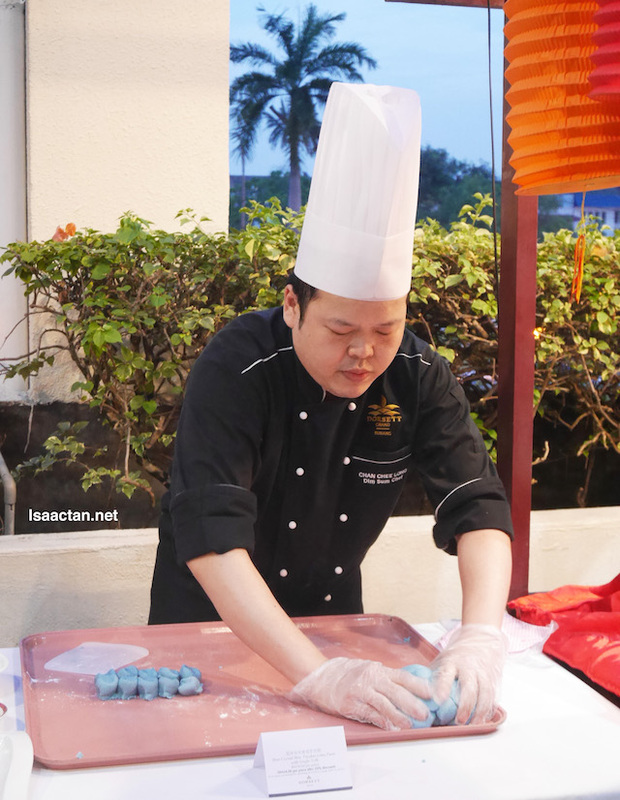 At Dorsett Grand Subang, Master Chef Alex Chan from The Emperor Chinese Restaurant handcrafts the classic mooncake varieties with a twist. 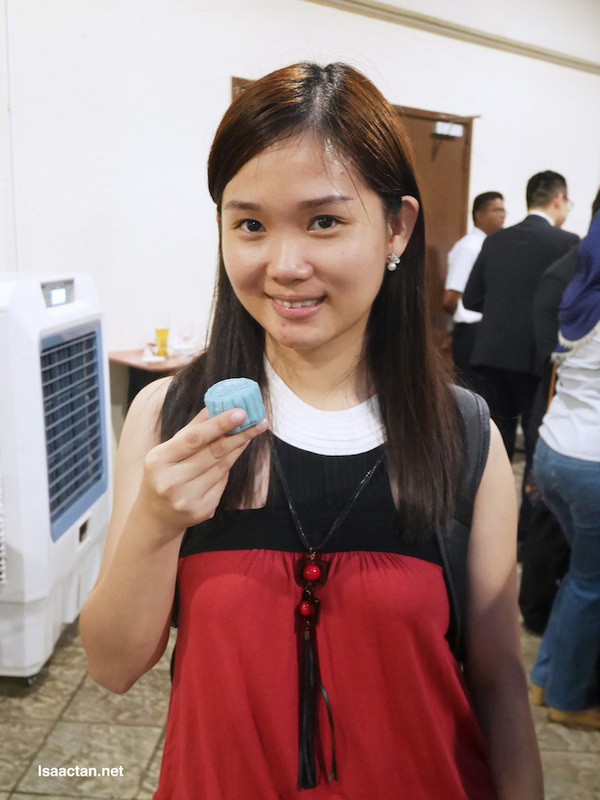 This year, I had the chance to attend the special event organised by Dorsett Grand Subang to introduce to us the signature mooncake this year. Aptly named the Crystal Skin Pandan Lotus Paste with Single Yolk, it embodies the Dorsett identity with its snow skin in blue. 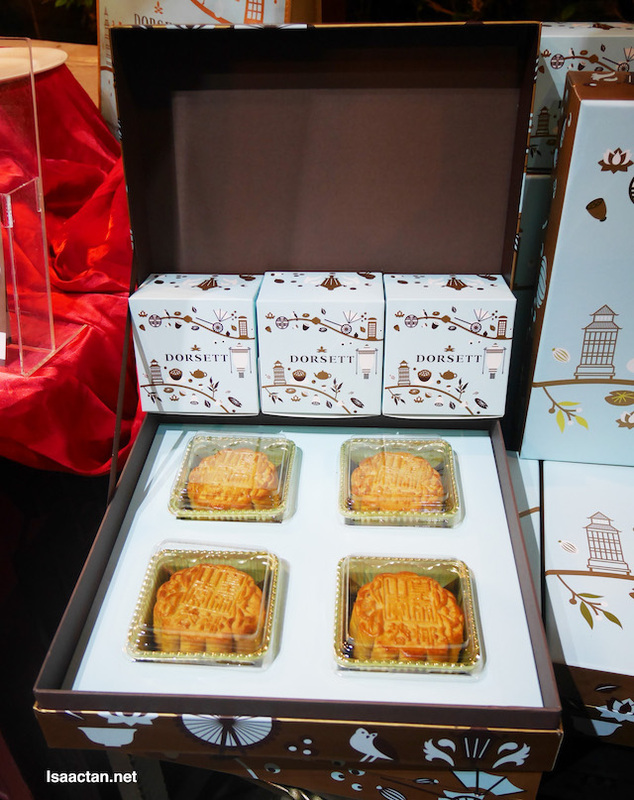 The mooncake is free from artificial colouring as it is derived from ‘Bunga Telang’ extracts. Bunga Telang; also known as Blue Pea Flower, carries antioxidants which can lower blood pressure as well as enhancing memory and brain power. 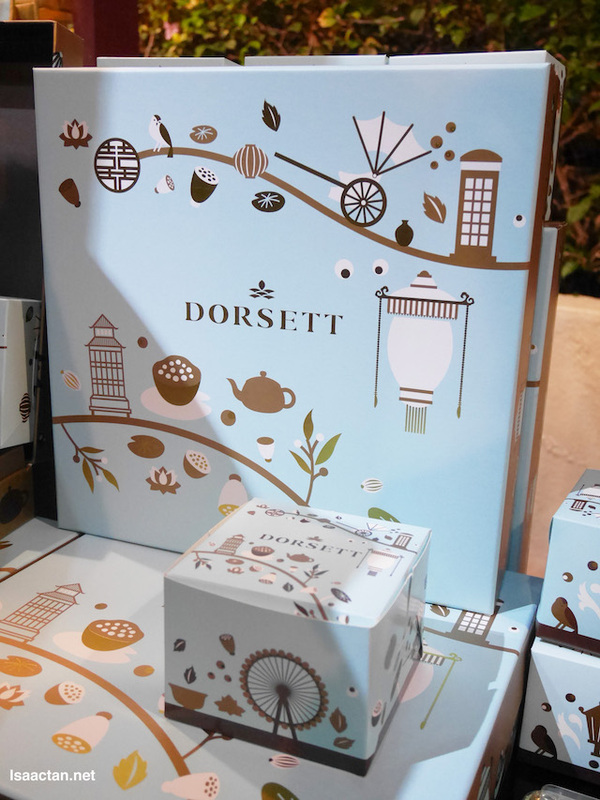 Apart from the new blue mooncake, Dorsett Grand Subang is unveiling three new nutritious baked mooncake flavours – Six Coarse Grains Paste, Coconut Pandan Paste with Single Yolk and Green Tea Paste with Single Yolk. The Six Coarse Grains Paste is rich in Omega 3 as it contains walnut, melon seeds, pumpkin seeds, rolled oats, black sesame and sunflower kernel – it is also less sweet and has mono-unsaturated fatty acids to lower cholesterol. Meanwhile, the Coconut Pandan Paste combines two familiar local flavours with the aroma of pandan leaves and the sweetness of coconut. Pandan leaf extracts have been thought to reduce fever, relieve indigestion and flatulence while coconut is known for protecting against heart diseases by increasing good cholesterol. Lastly, the Green Tea Paste is high in Vitamin C and other antioxidants which can help ward off premature aging by fighting free radicals. Dorsett Grand Subang’s mooncake selections also offer choices for guests who are fans of the traditional combination of glistening salted egg yolks embedded in low sugar white lotus paste which is available in a variation of double or single yolk. Each piece warrants a bite of quality egg yolk and a flavourful burst of texture. Other popular flavours such Red Bean Paste and Pandan Lotus Paste are also available. The mooncakes are available for sale between 13 August and 4 October 2017 at Dorsett Grand Subang, Dorsett Kuala Lumpur, Dorsett Putrajaya, Silka Maytower Kuala Lumpur and Silka Cheras Kuala Lumpur. For more information, visit Dorsett Grand Subang's website at www.dorsetthotels.com/malaysia/subang or follow them on their social media platforms at www.facebook.com/DorsettGrandSubang and www.instagram.com/dorsettgrandsubang.